The Wasatch base layer crew top is designed to wick moisture away from your body and dry quickly while simultaneously providing warmth and comfort. Our CoreWick2 fabric regulates body temperature while braving the elements in the rugged high country or frigid hardwoods. The anatomical fit of this piece allows for a full range of motion when drawing a bow, shouldering a rifle or traversing rough country. This is a critical piece for long, arduous hunts where temperature is sure to fluctuate. Mid to late season base layer. Designed to also be worn independently as an outer layer. Our unique CoreWick2 technology will assist you in maintaining core temperature. When the temperature rises, this piece will keep you cool through superior moisture management. The soft interior fabric and flatlock seams will not rub or chafe the skin, even after hours of hunting with a heavy pack. The convenient zipper pocket on the sleeve is perfect for holding mouth calls, licenses, or other important items. The Wasatch Crew Top is extremely versatile since it can be worn alone on warmer days or as a part of your extreme layering system on colder days. The versatility of the Wasatch Crew Top will make it one of your favorite base layers. The Wasatch Crew Top is very soft on the inside and made of a high-quality fabric. The shirt will keep you warm when its cool outside, but will also wick moisture when the temps rise. The shirt has an athletic fit. Awesome early season shirt i never go to the mountains without it during the archery season. With an amazing athletic fit and extremely durable material, this is the perfect piece to be worn alone when its warm outside. Also a very impressive layering piece when the temperatures are cooler. I would recommend this piece to anyone in search of an excellent shirt that fits any need early or even late season. Extremely comfortable material and boy does this thing do what they say. Keeps me warm on cool morning desert hunts here in AZ but when the sun starts to heat up the Wasatch Crew Top wicks moisture and keeps you cool. Very Impressed!!! This shirt is extremely comfortable. And that’s a big thing for me when I’m out hiking around all day for days. It wicks away the moisture and keeps you cool and also makes a great base layer to keep you warm. Awesome top! Ryan Compton – The Wasatch Crew Top is absulotley amazing. Very light, soft, but very durable in the field. I throw this product over my Alpine SL Shirt when I’m hunting in the river bottoms to keep me warm or stalking game. I’m not very found of the sound of gear getting stuck to a tree if you need to move to make a shot. I have used this product months on end in the tree and it is very quite that’s a huge plus for me especially during bow season. This is a must have and a amazing product. Awesome shirt! By far the best hunting shirt I have ever worn. It keeps me dry warm on the cold days, and and cool enough on those hot days. It’s a comfortable material as well. I wear this shirt for early and late season hunts because it is so versatile. I highly recommend this shirt if you’re looking for a great hunting shirt for all seasons. I have to honestly say that as of right now I have not been able to really put my SKRE product to the test. Having just ordered the merchandise a month or so ago it is very warm here in the south and hunting season doesn’t start until October. We are still a ways out from cold weather. I can however give feed- back on my first initial perception of the product and the customer service. The shirt fits extremely well and is very comfortable. It seems very well built and the color scheme and pattern, which I was concerned with since I hunt in the South East, is perfect for my environment so I must say that it is versatile for both whitetail and big game hunting abroad. The customer service aspect is phenomenal. Not long after receiving the product I had several questions and comments that I wanted to address and a Mr. Mike Wand one of the managing partners contacted me via phone to address any questions that I may have. Now I am old school when it comes to companies dealing with their customers. I understand that in today’s time it is easier to send texts or emails but for someone that high up in the company to personally talk to you about their products, where they have been and where they plan on going with the products and having interest in your feedback is pretty awesome to me. Why else would you not listen to your customers more closely, I mean that is who you are selling to correct? Some of these big name hunting clothes manufacturers’ products are expensive. So I want to be reassured that I am getting the best money can buy and that they stand behind their product no matter what. So far I honestly feel that SKRE will do just that. Produce quality product at affordable prices and provide extremely professional and loyal customer service. I’ve owned all sorts of base layers for hunting, Under Armour, Sitka, Kryptek, etc. When I joined the Skre club I was astonished at the quality you get for the price you pay, this gear is phenomenal. This base layer acts as a great layer between you and the elements, no matter the season. I would highly recommend upgrading your collection to include this top shelf gear! Very soft on the inside, nice smooth finish on the outside. Very comfortable shirt. Fitted cut, true to size (I normally wear a large and the large fits well – I’m 5’8″, 190lbs). I found it best suited for colder weather and the fabric is fairly heavy/insulating. Would definitely purchase again. The folks at SKRE are doing it right! This is an affordable and comfortable shirt that is perfect for hunting in the brutal AZ heat. The Wasatch Crew’s fabric does the job when wicking away sweat, drying quickly, and keeping you cool. It’s also been a great layering shirt when the temps do drop and you need that warmth. In my book this shirt is a must have, I love this shirt! This top does exactly what it says! I was very impressed at how well it wicks away the moisture. Well built and very comfortable, shoulder pocket is great for quick access top mouth calls. This long sleeve shirt is excellent for moderate to cold weather. The inside is soft and comfortable to wear even with multiple washes. I am a female; often times I buy hunting clothing and it is too baggy on me like it is supposed to fit on men. But, this fit the way I wanted not too tight, not to baggy and true to size. My husband also got the same one and he is a more muscular guy and it fit him as well. Overall, a good quality product. This is one of my favorite pieces of SKRE gear. Shirt fits me very well and has proven pretty darn durable. This is soft against the skin and the fabric seems to have a little stretch to it. I’ve worn it in warm weather and it does well wicking moisture away from the skin and dries quickly. I’ve also worn it in cooler weather has a light insulation piece. Very multi purpose multi season layer shirt. Over all I love this shirt and think I should order a couple more. Very impressed with the pattern and the feel of the durable material. I worn it for AZ early OTC deer season. The shirt did great at wicking moisture away. Can’t wait to try out during late season elk hunts. I believe it will work well with all my other SKRE gear to keep me comfortable. Greatly satisfied with this top! Very comfortable and soft. It dries pretty fast after being soaked by the rain and it stretch nice when pulling my bow back. It did get a little warm archery hunting in middle of the day in August but great in the morning and evening. Have been using this shirt now for a few hunts and some pre-season scouting! Works well! 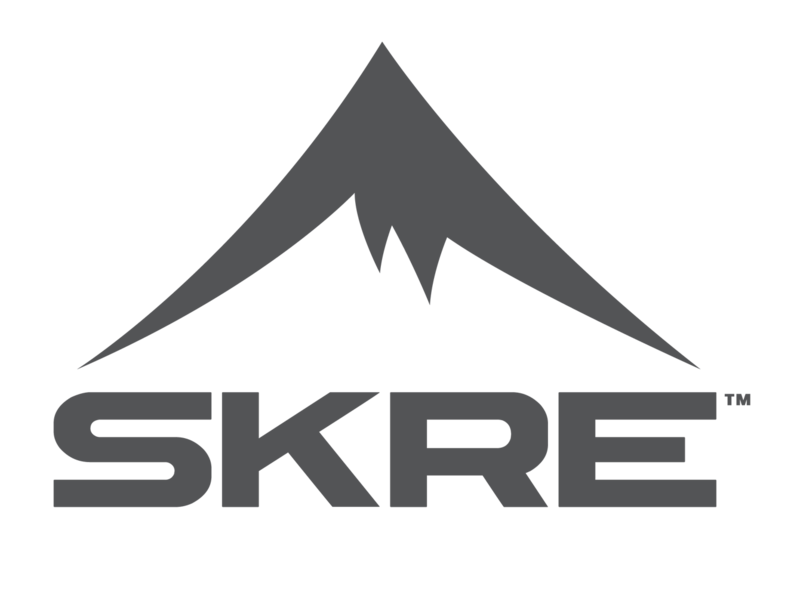 and as always, SKRE customer service is very helpful with any questions regarding fit, orders, or anything related to their gear! This shirt worked good for me. I mainly wore this on a archery elk hunt in Oregon. I would wear this in the morning and night over the skre Merino to keep warm. I found all I really needed when hiking was this and the merino on when temps were 40-50. The inside of the shirt is very soft and it seems to be a warm shirt in my opinion. Really liked this shirt. At first wasn’t sure of what I thought of the sleeve pocket, but found it an extremely handy location to keep my mouth reed case. Always knew where they were. I’m sold on the pocket now. The fit was fantastic. Only giving it three stars since I didn’t keep it or even where it in the field. My reason was the seem on the shoulder wraps under my arm which I knew would be uncomfortable. Also it’s a little thick for September. Here’s what I loved about it. Quality construction like everything else skre I’ve owned. While it runs small it’s also long in the arms and torso, perfect for lanky guys. For size reference this in a medium is tighter than a kuiu medium with the length of a large kuiu base. Changing the seem and add a chest zip and this would be a great piece. Bought two of these from Christmas specials. I’ve worn one. I get cold easy and live in a breezy area. Wore this in January (when it’s very cold in Utah) and that wasn’t the best idea. It’s thin but extremely comfortable and it’ll work great for summer scouting and early season mule deer and elk hunting. I will definitely be layering over it because to me, it seemed the breeze cut right through it. Probably the way it’s supposed to during warmer weather to keep you cool. During colder or windy days, it’s not something I would wear alone if you get cold easy. Fits true to size on me (5’10, 200 lbs) with an XL and the sleeves are plenty long. Great shirt, can’t wait to use it in more appropriate conditions.